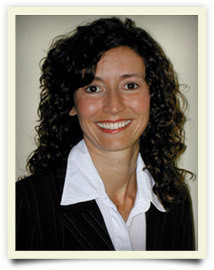 Dr. Hamilton is a licensed marriage and family therapist with a private practice in south Florida. She is a former Assistant Professor of Psychology in the Graduate Counseling Psychology Department of Palm Beach Atlantic University (2004-2009). Dr. Hamilton speaks in a variety of contexts on issues related to marriage, family life, and spiritual growth. She has presented clinical workshops both locally and nationally on integrating therapy and spirituality, how faith helps during times of crisis, and issues related to homosexuality. In addition, Dr. Hamilton conducts seminars for pastors and Christian leaders on the origins of homosexuality and how to minister to homosexuals. She has produced a video entitled, Homosexuality 101: Where Does it Come From, Is Change Possible, and How Should Christians Respond? She is also the co-editor of The Handbook of Therapy for Unwanted Homosexual Attractions: A Guide to Treatment. Dr. Hamilton is the 2009-2011 President of the National Association for Research and Therapy of Homosexuality (NARTH), and she is a former president of the Palm Beach Association for Marriage and Family Therapy.